AMSTERDAM -- Human rights organization Amnesty International has honored former NFL quarterback Colin Kaepernick with its Ambassador of Conscience Award for 2018, lauding his peaceful protests against racial inequality. The former San Francisco 49ers star was handed the award at a ceremony Saturday in the Dutch capital by onetime teammate Eric Reid. Kaepernick first took a knee during the pre-game playing of the American national anthem when he was with the 49ers in 2016 to protest police brutality. Other players joined him, drawing the ire of President Trump, who called for team owners to fire such players. Amnesty International Secretary General Salil Shetty called Kaepernick "an athlete who is now widely recognized for his activism because of his refusal to ignore or accept racial discrimination." 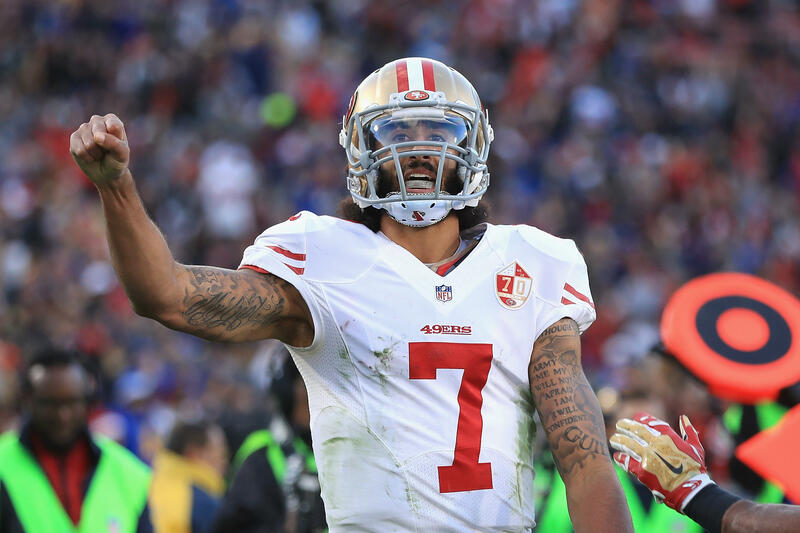 Kaepernick wasn't signed for the 2017 season following his release in San Francisco. Reid, a safety who is now a free agent, continued Kaepernick's protests by kneeling during the anthem last season. Reid has said he will take a different approach in 2018. Amnesty hands its award each year to a person or organization "dedicated to fighting injustice and using their talents to inspire others." Previous recipients of the award include anti-Apartheid campaigner and South African President Nelson Mandela and Malala Yousafzai, the Pakistani schoolgirl who campaigned for girls' right to education even after surviving being shot by Taliban militants. "In truth, this is an award that I share with all of the countless people throughout the world combating the human rights violations of police officers, and their uses of oppressive and excessive force," Kaepernick said.